Put your piloting skills to the test in this lively air show that introduces you to the history, majesty, science, and technology of powered flight! 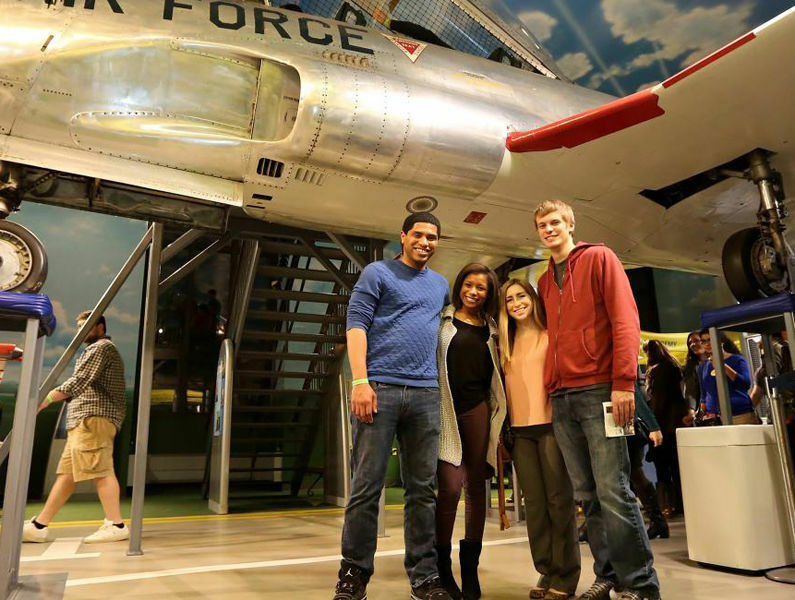 Hear the roar of planes overhead as you explore the basic principles of aeronautics and explore life stories and artifacts from the earliest aviation pioneers, including the Wright Brothers, Bessie Coleman, the Tuskegee Airmen, and Amelia Earhart. Learn about airflow and how to control it for flight. Stand in front of a giant fan while wearing foam “wings” on your arms and feel the lift force. Try flying a kite like the Wright Brothers did to see how challenging it can to balance the forces. Make a paper whirligig and watch it rise on an updraft. You’ll find the activities in this exhibit uplifting!